Can you describe the work that you do? This work can be done at 3 different levels – individual casework, group work and across the school system. We’re incredibly lucky, because working in a multi-academy trust, we are able to cover all of those areas and levels, but we aim to focus most of our time on strategic and systemic work that will make a greater impact on more students. We’re on the ground day to day, so we do casework with individual students, as well as working on broader projects such as working with SENCOs and senior leadership teams towards long-term goals. We hold regular planning meetings with schools on a termly basis, which enables us to have conversations with staff about particular issues or themes. This approach has far greater reach and impact than if we were just restricted to case work and helping individual children who are being referred to our team. Often, the idea for a project can come directly from our casework. For instance, when I saw significant levels of casework relating to emotional health and wellbeing, I asked the senior leadership team, what is in place already? What else could we do as an educational psychology service to help you to support more children and young people? I was able to draw on casework to bring about a strategic approach to an issue across the whole trust. We currently have 3 full-time educational psychologists working as part of a Targeted and Specialist Support Team (TASS) within Bright Futures, so we work across 8 schools in the trust, including 3 mainstream secondary schools, 3 mainstream primary schools, 1 sixth form college and 1 specialist secondary school. We hold regular drop-in consultations that allow members of staff to talk to an educational psychologist or SENCO about any anonymous child – they don’t have to be on the SEN register – this is an opportunity to discuss any issues and potential strategies. We have around 6 drop-ins per year in each school and generally speak about 3 children each time, so we support around 18 children per year in each school without undertaking direct work. We also conduct more traditional casework involving consultation, observation and direct assessment with children. This varies in volume but typically in a year, each educational psychologist might work with about 40 different children on an individual basis. We work in a bespoke way with each school, looking at how we can support their school development plans. Some schools will want us to have a strategic focus, with training for staff that will have an indirect impact on many pupils. Other schools will need us to do more casework. But now that we’ve built up close working relationships with schools, they expect us to work on joint initiatives rather than to have a narrower focus on casework. The strategic work we do is influenced by the casework that we see – so our broader work is led by the evidence and the outcomes we build up. We can be very creative with the work that we do. I specifically applied to work here because of that autonomy – this role gives me the opportunity to apply all the skills and knowledge that I’ve built up during my doctorate training and allows me the flexibility to decide how best to apply that. We are given a lot of responsibility to do systemic and strategic work, even though we’re only in our second and third years of practice. Often, working in a local authority, it takes time to be able to take on that level of responsibility and you’d first need to become a specialist or senior practitioner. But Adam and I are already the leads on specific strategies across groups of schools and these strategies, over a number of years, will ultimately help support many of the children that we serve. What makes your role different to an educational psychologist working in a local authority? The majority of educational psychologists are employed by a local authority and work as a local government employee for the educational psychology service. Local authorities may expect educational psychologists to be heavily involved in statutory assessment of children, which leads to devising individual education, health and care plans. Schools used to be allocated a certain amount of time from a local authority educational psychologist per term but the landscape is changing. Now, many educational psychology services have to generate income to cover a proportion of their costs, so that means that the work done by an educational psychologist is directed by the particular services schools want to purchase. Schools tend to buy in casework because it leads to definite outcomes for individual pupils that are causing concern. One of the biggest differences is that schools in our multi-academy trust have a guaranteed allocation of our time, which is paid for by a top slice off their budgets. This means we are embedded within the schools and although we are a small team, we actually have a high ratio of educational psychologists to pupils. Being part of the trust in this way ensures that we can build really positive, long-term relationships. We get to know the staff and the context and we can build a strong level of trust. Working in a trust means we have much more flexibility as we have a high level of autonomy in how we approach our work across all of the schools. I think that we definitely get more opportunities working in a trust than a local authority. We bring our specialist knowledge of educational psychology together with the knowledge schools have about their children to make a positive change for young people. This leads to creative and interesting solutions. In a nutshell, we are trying to achieve the best possible outcomes for children and young people with special educational needs, and we’re seeking to build capacity within the trust’s schools. We’re not an ‘add on’ service which Bright Futures buys in as a service for casework – our team of educational psychologists is very much a central part of Bright Futures and the approach Bright Futures takes towards education in all its academies. And the trust has a strong focus on special educational needs. The majority of schools within our trust serve socially and economically deprived areas that have significantly above average levels of children with special educational needs and disabilities (SEND). Our approach is long-term rather than short-term, enabling us to get down to the root of problems. We can work with senior leaders and SENCOs in our schools to look at SEND systems and to make sure we’re taking an early intervention and preventative approach. That means that in time, we’re only required to do direct casework with those children that have a very high level of need. This is because we’ve already helped other children at an early stage, often in groups or at a universal level, so they haven’t progressed to having a level of need that requires our individual intervention. For example, we lead trust-wide initiatives. I’m the lead for the trust’s autism and sensory needs strategies along with a colleague from our specialist secondary school. As part of the autism strategy we’re currently training all members of staff including teaching assistants, learning mentors, lunchtime supervisors and office staff, as we’re aware that some children with complex needs, who are often very vulnerable, will come into contact with people in school who might not understand their needs or who haven’t had a high level of training. Our training offer will give support staff an understanding of what autism is, so that from the moment a child with autism comes through the door, everybody in the school has a certain level of understanding. That means staff can make tiny adjustments, which can make a huge difference to that child’s day, like giving them extra processing time or supporting them with visual aids. Anything that will help to make their time in school easier to manage. 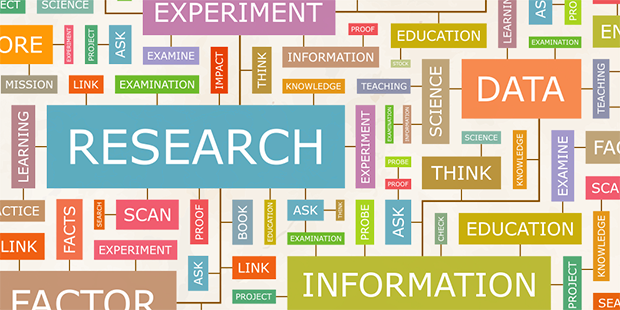 Can you tell us about your approach to research? A key part of our role as educational psychologists is to conduct and use research. ‘Practice-based evidence’ entails using what you know is working and has worked in the past. Whereas, ‘evidence-based practice’ is much harder to produce, whereby you can demonstrate proven results on a large-scale basis. Part of our model of working is that we work closely alongside the University of Manchester, which is where we both completed our doctorate studies. We have delivered seminars and training to students and have become involved in external examinations, and we’re currently co-supervising a Year 1 trainee. It’s great to have that level of trust from the university, that they’re confident in our abilities at this early stage of our careers to be involved in the training of future practitioners. And it means we’ve also maintained that link with the most up-to-date evidence and research available. The university uses a commissioning process to determine the research conducted by their students, so they will ask us if there are any questions that we need to be answered for our pupils and schools. We can then host trainees who are doing active research in our schools that directly benefits us. Yes, a trainee last year did her research project on wellbeing and resilience at the same time that it was a priority for the school she was working in, so she was able to help shape and influence their provision at the same time, directly supporting the children. I’m passionate about research and Bright Futures have supported this so I’ve been able to publish 2 papers based on my work here in conjunction with the University of Manchester. At the moment, I’m working with Adam on a paper that reflects on our role as educational psychologists within a multi-academy trust. It’s fantastically rewarding because not only do we publish our research, we’re then expected to use our action-research skills on a day-to-day basis in our schools, looking at different interventions we could draw on and the evidence that supports them. 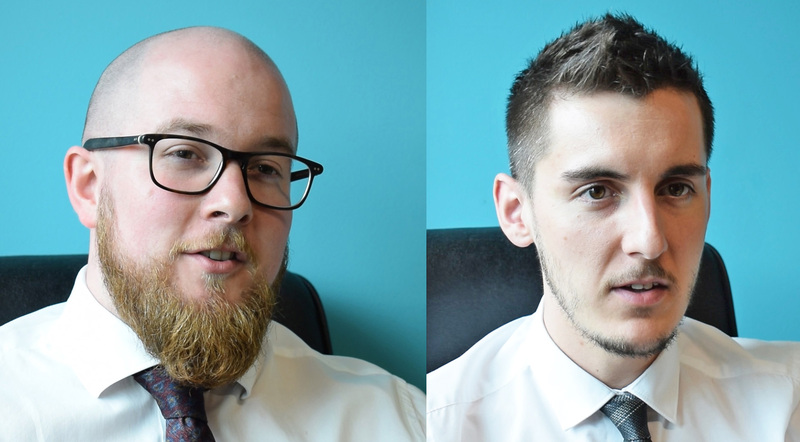 Read Adam and George's research paper on being educational psychologists. Dr George Thomas is an educational psychologist who completed an undergraduate psychology degree and then trained as a teacher. He did his doctorate studies at the University of Manchester and completed his study placements at Bright Futures. Dr Adam Rumble’s interest in SEN came from his goddaughter being diagnosed with autism. He worked as a teaching assistant with children with SEN and then completed a degree in forensic psychology and criminal justice. After university, he began working as an assistant psychologist at a residential school for children with severe and complex needs in the Midlands. Three years later, he applied for a doctorate in educational psychology at the University of Manchester, and has since worked as an educational psychologist at Bright Futures.